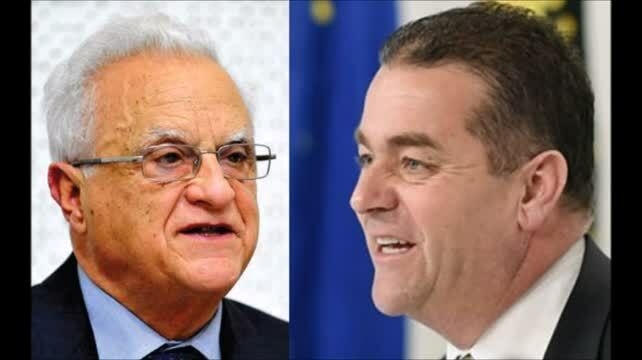 The former editor of In-Nazzjon, Nathaniel Attard, has been ordered to pay €3,000 in libel damages to Leo Brincat, former Minister of the Environment and now a member of the European Court of Auditors. The newspaper had, on November 26, 2014, published an article entitled 'Nefaq €1 miljun fuq titjiriet f'19-il xahar' with reference to the public funds allegedly spent by the then minister on work-related travel. Magistrate Francesco Depasquale observed that between March 20, 2013 and November 5, 2014 the minister had gone abroad on 21 occasions for a total expense of €143,360, with flight expenses amounting to €82,140. These expenses had been the subject of a parliamentary question tabled by Claudette Buttigieg on November 4, 2014, a few days before the publication of the allegedly defamatory article. After evaluating the documents evidence as well as the testimony given by Mr Brincat and the director for corporate services within the same ministry, the court observed that the editor had presented "no proof whatsoever to justify the publication of his story". Il-gvern Laburista mhux vera waqa'. Gvern jaqa' meta jitlef vot ta' fiducja fil-parlament. L-ahhar gvern li kien waqa' kien dak ta' Lawrence Gonzi meta l-vot tal-budget ma kienx ghadda u l-gvern ma setax jiffunzjona. Mhux vera li Jason qal, "se nkunu gvern tal-Laburisti" imma qal, "U ser nkunu GVERN TAL-MALTIN U GHAWDXIN KOLLHA, u jiena, hawnhekk qeghdin bejnietna u nahseb tajjeb li jien illi nghidielkom se nkunu WKOLL mela le, Gvern tal-Laburisti illi nwettqu l-gustizzja fl-ewwel xhur ta' Gvern Laburista." F'Awwissu 2007 kien ghad baqalhom jibnu child-care centre. Skond in-Nazzjonalisti kien Eddie Fenech Adami li dahhal il-computers f’Malta. Il-computers dahlu taht Gvern Laburista. Dan ir-ritratt t'hawn taht juri lil Eddie Fenech Adami waqt l-elezzjoni tal-1987 fl-ufficcju tieghu isegwi kif kienet sejra l-elezzjoni u hdejh ghandu l-personal computer tieghu. Dan f'Mejju 1987 taht il-Labour. Ir-ritratt t'hawn taht jehodna aktar lura fis-snin ... sal-1983 (dejjem taht il-Labour) meta l-kumpanija Giov. Muscat & Co. Ltd. ta' Triq il-Merkanti il-Belt, kienet qieghda tirriklama Apple Personal Computers. Fi stqarrija ghall-istampa, l-NSO (l-Ufficcju Nazzjonali tal-Istatistika) habbar TNAQQIS ta' 1,530 turist li waslu Malta bi cruise liners fl-istess xahar. Everything is brand new, everything is shiny and the workforce really deserves this brand new state-of-the-art medical centre. During the last days, some of the beds and special mattresses used for patients in St Luke’s Hospital were packed up, and transported to the new hospital at Tal-Qroqq's Mater Dei. Here the beds were quickly sprayed and taken up to the new wards in preparation for the first in-patients, maltastar.com is informed. … maltastar.com is informed that many of the equipment at St Luke’s Hospital is currently being taken to the new hospital. Everyday, lorries loaded with all kinds of equipment and furniture are leaving St Luke’s Hospital on their way to Mater Dei. Mhux veru li l-MLP fl-1998 kien l-uniku partit li ma ggvernax ghal legislatura shiha. Il-Partit Nazzjonalista QATT m'ghamel hames snin fil-gvern mill-1987 sa dakinhar. Il-PN jakkuza lil Joseph Muscat li l-ewwel ried jinghogob mal-GWU imbaghad wara li halla granet jghaddu biex jara kif se tkun ir-reazzjoni tal-pubbliku hareg jikkritika l-GWU. The Times stess uriet li l-Partit Laburista mmexxi minn Joseph Muscat mill-ewwel ikkritikat id-diskorsi li saru ... sahansitra L-GHADA LI SARU. Kandidata Nazzjonalista tghid li l-krizi internazzjonali b'xorti tajba izda mhux b'kumbinazzjoni mhux se jkollha impatt daqshekk qawwi fuqna. Fabbriki mill-ewwel bdew ikeccu l-haddiema jew inaqqsulhom ix-xoghol. Magistrate Mallia established that Sant had arrived at the counting hall in his own car accompanied by George Vella and Joseph Brincat. They had passed through the security checks and had not been accompanied by other persons. ... The photos taken showed the crowd gathered around Dr Sant but at no time was there any violence towards any persons in the counting hall. It therefore clearly resulted that Dr Sant had not been accompanied by 20 or 30 persons, nor had his arrival at the counting hall been abrupt or simultaneous as claimed in the letter. Kif Ray Abdilla ta' maltarightnow.com dawwar kollox u qal li Alfred Sant dahlu mieghu in-nies anzi li dawk li kienu mieghu kienu ta' theddida. L-ufficcju Nazzjonali tal-Istatistika fit-22 ta' Dicembru 2008 habbar li n-numru tan-nies jirregistraw ghax-xoghol zdied fix-xahar ta' qabel (Novembru) mqabbel ma' Ottubru. L-ahbarijiet ta' Di-ve news u The Times semmew il-fatt li l-qghad kompla jizdied. The number of registered unemployed in Malta is on the increase, according to National Statistics Office figures. Unemployment grew by almost 300 between October and November but dropped slightly when compared to November 2008, figures issued today by the NSO show. Il-Partit Nazzjonalista habbar bil-maqlub li l-qghad NAQAS!! "L-Oppozizzjoni Laburista ghadha bil-politika tas-soltu li dejjem tghid le." - Il-hatra tal-Kummissarju ghall-Protezzjoni tad-Data. "Kien il-Partit Laburista li tkellem kontra s-shubija u ffriza l-applikazzjoni ta' Malta fl-1996 bir-rizultat li kien hemm dewmien li wassal biex Malta tilfet flejjes kbar ta’ ghajnuna li setghu gew ferm qabel." Il-PN igiddeb lil Joseph Muscat li kien qal li l-poplu ma kienx qieghed ihoss il-gid ekonomiku li kien qieghed jiftahar bih Lawrence Gonzi. Il-PN sa anke qal li l-PL huwa maqtugh mir-realta. The Times staqsiet jekk dan il-"gid ekonomiku" huwiex jilhaq lill-pubbliku. U l-pubbliku ta r-risposta tieghu. Meta mbaghad Eddie Fenech Adami lahaq Prim Ministru, lill-akbar traffikant tad-droga QUEIROZ tah mahfra presidenzjali ... u dan telaq minn Malta! Mhux veru li Joseph Muscat qal li ma jixraqilniex vot ta' sfiducja anzi kienet l-Oppozizzjoni Laburista li resqet dan il-vot fil-Parlament biex jigi deciz jekk il-Gvern ta' Lawrence Gonzi ghandux maggoranza Parlamentari wara d-dikjarazzjonijiet tad-Deputat Nazzjonalista Franco Debono. Kienet in-naha tal-Gvern li kkritikat il-vot ta' sfiducja kif jidher hawn taht. F'attivita politika f'San Gwann fit-18 ta' Novembru 2012 Lawrence Gonzi semma prezz taz-zejt li hu hafna ghola milli fil-fatt kien. Il-PN biex jghattilu qal li Gonzi ma kienx qieghed jirreferi ghall-prezz ta' dakinhar. Calculations by The Times yesterday confirmed the claim by Labour leader Joseph Muscat that single minimum wage earners will now enter the first taxable bracket of income due to this Budgets cost-of-living adjustment in wages of 4.08 per week. This measure raises the weekly pay of a minimum wage earner from 158 (8,222 annually) to 162 (8,433 annually). When taking into consideration the Government bonuses given automatically during the year, single people who earn only the minimum wage will now end up forking out 60 in income tax annually. Fil-5 ta' Dicembru 2012 Marthese Portelli, President tal-PN cahdet ghal 4 darbiet li flyer qarrieqi li ntbaghat lill-haddiema tal-Gvern kien gej mill-PN. Jumejn wara waqt programm fuq TVM l-istess Portelli ammettiet li l-flyer kien fil-fatt xoghol tal-Partit Nazzjonalista. Dr Gonzi said the local council elections could not be brought forward, and holding them separately would have cost the country an extra 1 million. This afternoon, the Office of the Prime Minister said the prime minister was clarifying that the Local Councils Act provided that local council elections may be brought forward or postponed. Il-Partit Laburista jikteb lill-Awtorita tax-Xandir biex isir dibattitu bejn Louis Grech u Simon Busuttil minflok jidher Louis Grech wahdu imma l-PN jghid li l-Labour jahrab minn konfront ma Simon Busuttil. Frar 2013, Marthese Portelli, President tal-Kumitat Ezekuttiv tal-Partit Nazzjonalista takkuza lil Joseph Muscat li mar il-gym biz-zarbun u tghid li dan ghamlu biss ghad-dehra. Il-verita hi li Joseph Muscat kien liebes par trainers suwed. Pajjiżna ma daħal febda riċessjoni minkejja li konna mdawar bpajjiżi li raw l-agħar riċessjoni mill-Great Depression tal-<?xml:namespace prefix = st1 ns = "urn:schemas-microsoft-com:office:smarttags" />1920.  pagna 5 tar-rapport ufficcjali mhejji mill-PN biex janalizza r-ragunijiet ghat-telfa elettorali kbira tal-2013. "Fl-aħħar stajna nixtru kompjuter." - Simon Busuttil kkwotat fis-sit eddiefenechadami.org jghid li stajna nixtru kompjuter biss ghax Eddie kien tela' fil-gvern fl-1987. Kull ma riedet taghmel il-familja Busuttil kien li jmorru jixtru kompjuter mill-hanut. For more than 14 hours I had to lie to the Nationalist party people at Ta' Qali.